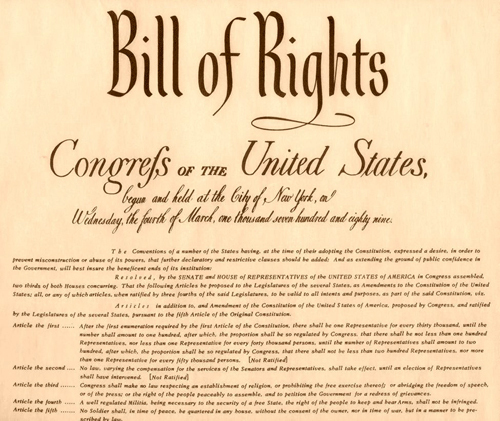 The first 10 amendments to the Constitution are known as the Bill of Rights, but there were actually two amendments that were proposed at Federal Hall in New York City on September 25, 1789 that were not ratified. The original first amendment had to do with establishing a ratio and limitation on how many people could be represented by each member of the House of Representatives. Fortunately, it was not ratified, because if it was, there would be more than 6,000 representatives instead of the current 435. The amendment proposed a limit of 50,000 people per representative. Today, each member of the House represents about 700,000 people!